If you live in California and are exploring new mattress options, we hope you can find our guide to the best mattress shops in California helpful. It should come as no surprise that those seeking mattress stores in California have an abundance of options. The likes of major metropolises like Los Angeles, San Francisco, and San Diego provide opportunities for some of the largest mattress stores in the nation. Long known as a national hub for forward thinking, sustainable, and healthy product lines, there are a great number of specialty mattress makers in California. If you’re wondering where to find a mattress store in California, check out our individual city pages within the state, or a run down of mattress store offerings by region below. There are many quality and affordable mattress stores in and near San Francisco, CA. Close to 20 mattress stores may be found in San Francisco proper, with the highest rated stores including the Mattress Firm at Nob Hill (1600 Van Ness Ave), Tuft & Needle (637 King St), Nest Bedding (367 9th St), and Mancini’s Sleepworld (2950 Geary Blvd). Alladin Rugs and Mattresses (2001 Clement St) also stands out as one of the most affordable mattress stores in the region. The Mattress Firm at Nob Hill stands as the most well-reviewed mattress store in San Francisco proper, and includes an area for children to play in, and quality marks for a speedy buying process, quality customer service, and a wide variety of mattresses. Tuft & Needle and Nest Bedding offer particularly high end bedding options, with Tuft & Needle also offering same-day delivery for purchases before 3pm. In the broader bay area there are a number of stand out mattress stores. Daly City offers comperable offerings to downtown San Francisco, with a second location of Mancini’s Sleepworld (5075 Junipero Serra Blvd) as well as two Mattress Firm Locations (4937 Junipero Serra Blvd, 403 Westlake Ctr). In Oakland, the highest rated mattress store is also one of the most affordable in the Bay Area: the Direct Mattress Outlet (West Oakland). Close to 10 mattress stores call Oakland home, including a third location of Mancini’s Sleepworld (2298A South Shore Ctr, Alameda) and two more locations of Mattress Firm (3999 San Pablo Ave, 3005 Broadway). A number of high end mattress firms are also available in the Berkeley Area including Keetsa (2117 San Pablo Ave), European Sleep Works (2966 Adeline St), and second location of Nest Bedding (835 San Pablo Ave). In the south Bay Area (the rest of Silicon Valley) there are close to 20 mattress stores north of San Jose in Palo Alto, San Mateo, Mountain View, and Sunnyvale. Many of the same offerings as in the East Bay and San Fransisco are available, including three more Mattress Firm locations and three more Mancini’s Sleepworld locations. Mattress stores in Palo Alto include two higher end offerings: the Natural Mattress Store (135 University Ave) and McRoskey Mattress Company (220 Hamilton Ave). While the Natural Mattress Store is known for organic and toxin-free mattresses, McRoskey’s is known for traditional high quality mattresses of their own making. Central Valley California encompases the metropolitan areas of Sacramento, Chico, Modesto, Stockton, and Fresno, CA. The largest concentration of mattress stores in Central Valley are in Sacramento and Folsom. 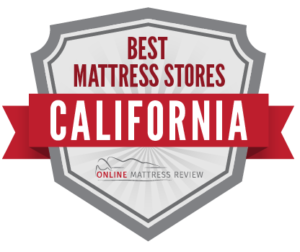 Top rated mattress stores in northern central valley California include Mattress Factory & Furniture Outlet (4301 Power Inn Rd), College Town Mattress (8760 La Riviera Dr), and Furniture Co (5005 Stockton Blvd). Where College Town Mattress excels for their quality range of affordable mattresses, Mattress Factory and Furniture Co excel with their wide range of styles, delivery options, and knowledgeable staff. Other mattress store offerings around Sacramento include a number of Mattress Firm locations as well as many local mattress businesses. Farther south in Stockton there are over 20 mattress stores. Top rated and popular options include locations of Mancini’s Sleepworld (702 W Hammer Lane) as well as a number of locations for Mattress Firm. The top rated option in the area is 209 Furniture (1748 W Fremont St) noted for their quality selection, service, and delivery. Mattresses may be found in Modesto, California at the top rated Sleep Haven Bedding (1560 Mchenry Ave), Star Bedding (717 7th St), as well as several locations of Mancini’s Sleepworld and the Sleep Firm. As the second largest city in the US, you can bet your bottom dollar that Los Angeles, CA has mattress options for a wide variety of price points and tastes. Two of the highest rated chains located in many neighborhoods in the city include Los Angeles Mattress Store and Mattress Central. Other top rated mattress stores include Sit’n Sleep (969 N La Brea Ave) in Fairfax, Best Los Angeles Mattress Sale (11766 W Pico Blvd) in Sawtelle, and Legacy Mattress (3757 Overland Ave) in Palms. Some of the most affordable mattress stores in the Los Angeles metro include the playfully named Nick’s Got Your Back (11842 Jefferson Blvd) in Playa Vista and Dream & Rest Mattress (5901 S Vermont Ave) in Vermont-Slauson. With that said, there are hundreds of mattress stores in the Los Angeles metropolitan area. For a more in-depth guide to the best mattress stores in Los Angeles, check out our guide to the city. Wondering where to find mattress stores in San Diego, CA? Currently there are over 100 mattress shops in the San Diego region, including a wide range of locations for mattress store chains including a large number of locations of Mattress Firm and Ortho Mattress. Top rated, non-chain mattress stores in San Diego include Real Deal Mattress (7636 Clairemont Mesa Blvd), Mattress Pavilion (7128 Miramar Rd), as well as two particularly affordable mattress stores: Mattress Store Liquidators (7377 Convoy Ct), and Mattress Co Plus (7848 Silverton Ave). One of the top natural mattress makers in the region are also present at Mattress Makers (7919 Silverton Ave). With that said, there are scores of mattress stores in San Diego in nearly every neighborhood. Make sure to check out our guide to mattress stores in the city of San Diego for a more detailed view. Finding the best mattress in California comes down to where you live. It’s a big state. Below, we’ve listed out the top 30 cities to do your search. Keep in mind that bigger places have more stores competing for your business and giving better deals. Here are the top 30 cities in California from top to bottom: Los Angeles, San Diego, San Jose, San Francisco, Fresno, Sacramento, Long Beach, Oakland, Bakersfield, Anaheim, Santa Ana, Riverside, Stockton, Chula Vista, Irvine, Fremont, San Bernardino, Modesto, Fontana, Oxnard, Moreno Valley, Huntington Beach, Glendale, Santa Clarita, Oceanside, Garden Grove, Rancho Cucamonga, Santa Rosa, Ontario and Elk Grove, CA.